Intel’s most popular family member is more adaptable than ever and unlocked. The 2nd generation Intel Core i5-2500K processor delivers an even better automatic performance increase with Intel Turbo Boost Technology 2.0 and is overclocking-enabled for the flexibility to set your systems specs the way you like. 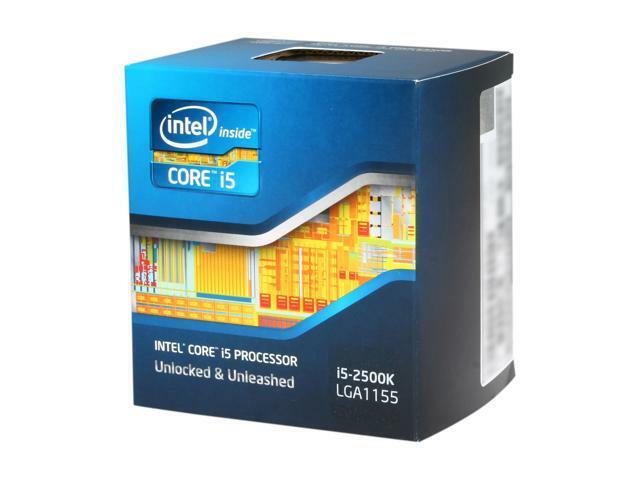 And when combined with the Intel P67 Express chipset for core overclocking performance, the Intel Core i5-2500K processor delivers visibly smart performance at its best for the desktop with its highest performance built-in graphics and media features. Learn more about Intel-powered ultrabooks. Check out our Ultrabooks store page. Intel Turbo Boost Technology 2.0 More intelligent, energy-efficient, and dynamic than previous generation, Intel Turbo Boost Technology 2.0 gives you accelerating performance when you need it. It delivers an even greater automatic speed increase by allowing processor and graphics cores to run faster than the base operating frequency for demanding applications if the processor is operating below power, current, and temperature specification limits. Integrated DDR3 Memory Controller Integrated memory controller enables two channels of DDR3 1333 MHz memory, resulting in up to 21 GB/sec memory bandwidth. Plus the memory controller's lower latency and higher memory bandwidth delivers amazing performance for data-intensive applications. Built-in Visuals (with H Chipset) The visual features built into the 2nd generation Intel Core processor family deliver everything you need to enjoy a stunning and seamless visual experience. Intel Quick Sync Video and newly-added Intel Advanced Vector Extensions (AVX) make media processing incredibly fast. New built-in Intel HD Graphics delivers discrete 3D graphics performance without the needed cost and power of a discrete graphics card, and features Intel Clear Video Technology than enhances video playback, image quality, and color fidelity for a premium visual experience. What’s more, add another dimension to what you see on your PC with Intel InTRU 3D technology which supports stereoscopic 3D Blu-ray playback in full 1080p resolution over HDMI 1.4.